Nel corso degli anni in cui ho lavorato nel marketing, ho attraversato alcune fasi in cui ho tentato di dare una possibilità a Linkedin. Dopotutto, così tante persone dicono che Linkedin ha aiutato nell crescita dei loro business! 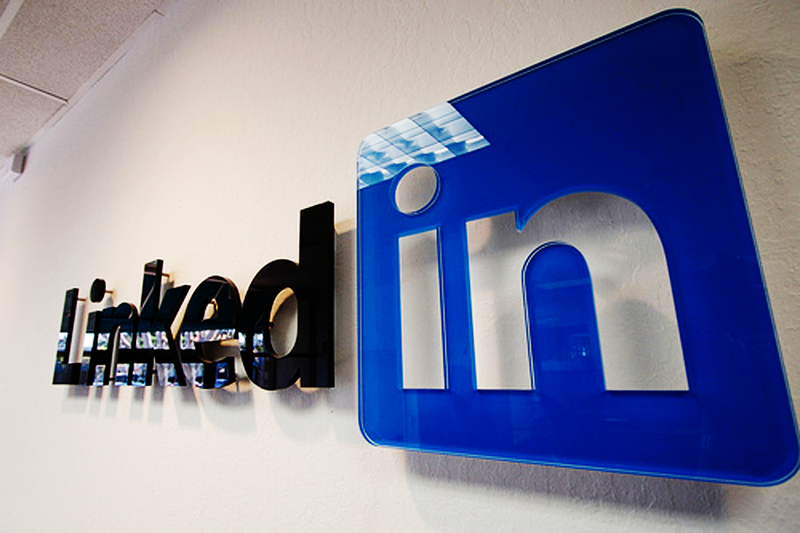 Così tante persone dicono che ignorare Linkedin è un errore sciocco che può costare caro alla tua azienda nel lungo periodo. Quindi decido che mi dedicherò a Linkedin ogni tanto. Inevitabilmente, tuttavia, finisco per perdere di nuovo interesse. Nel pensare e questo circolo apparentemente senza fine, mi sono resa conto che ci sono tre difetti principali di Linkedin che mi fanno sempre allontanare. Non so se questo sia il caso in tutti i settori, ma come marketer, non voglio usare i social media per fare network con altri marketer (anche se il mio account Twitter direbbe un'altra storia). Su Linkedin, dove l'ambiente è più professionale e meno social, voglio poter fare network con potenziali clienti e clienti già esistenti. Sfortunatamente, quando Linkedin mi dà raccomandazioni sui contatti consigliati, suggerisce sempre altre aziende di marketing, a volte persino locali. Queste "connessioni", semplicemente non hanno senso. Non voglio fare network con i miei competitor. I consigli di Linkedin non sono utili per niente! La preferita dei fan di Linkedin è la sezione delle "Domande". Dicono che se diventi un "esperto" credibile nella tua area, puoi costruire un seguito forte su Linkedin e quindi aiutare il tuo business. A volte ho trovato domande alle quali potevo rispondere in maniera estesa ed informata. Molte volte, invece, le domande sono così ampie oppure richiedono di dare così tanto supporto professionale (gratuitamente) che semplicemente non vale la pena. Presumo che il punto centrale sia che essere presenti su quei thread vale qualcosa, ma esito molto a dare troppe informazioni gratis. Quanto ai thread "divertenti" nella sezione Risposte di Linkedin, a mio avviso tolgono senso all'intera sezione. Fare domande a proposito delle cartoline di auguri è divertente, ma realmente potrà dimostrare l'expertise nel campo pubblicitario? Non credo di capire in che modo. Questa è una nuova funzionalità di Linkedin, ma davvero non mi fa venir voglia di visitare il sito. L'idea è che le persone possano darti un "endorsement" per le tue capacità e/o talenti. I problemi sono molti. In primo luogo non è necessario alcun commento, quindi una persona che non ha mai lavorato con te e che magari non ti conosce nemmeno così bene può farti un endorsement nella speranza che ricambierai. Questo non è vantaggioso per nessuno dei due. Parlando di ricambiare, una volta che cominci a ricambiare gli endorsement, Linkedin continua a suggerire persone a cui dare endorsement. Molto presto gli endorsement, che sembrano un grande dono, cominciano a occupare la stessa capacità mentale del fare zapping in tv. Questi endorsement vengono completamente svuotati di significato e sembrano più una tecnica di gaming che qualcos'altro. Sono solo io a pensarla così? Sto perdendo di vista i dettagli più fini del mondo di Linkedin? Sarei felice di imparare! Over the years that I have worked in marketing, I have gone through phases where I have tried to give LinkedIn a chance. After all, so many people say that LinkedIn helped their businesses grow. So many people say that ignoring LinkedIn is a foolish mistake that can cost your company in the long run. So I go in and decide that I am really going to dedicate myself to LinkedIn every once in awhile. Inevitably though, I end up losing interest again. In thinking about this seemingly neverending cycle, I realized there are three primary complaints I have about the LinkedIn environment that always make me turn away. I don’t know if this is the case across all industries, but as a marketer, I do not want to use social media to link with other marketers (even though my Twitter account would signal otherwise). On LinkedIn, where the environment is more professional and less social, I want to be able to network with potential customers and existing customers. Unfortunately, when LinkedIn makes recommendations regarding who I should connect with, it always recommends other marketing firms, sometimes even local marketing firms. These “connections” simply do not make sense. I don’t want to network with my competition. LinkedIn’s advice is not helpful at all! One think many LinkedIn fans tout is the “questions” section. They say that if you can become a credible “expert” in your area, you can build a strong following on LinkedIn and hence help your business. On occasion I’ve found questions to which I could respond with informed answers. A lot of times, however, questions are so broad or require you to give so much of your professional advice (for free) that it simply is not worth the time. I suppose the argument could be made that simply making yourself present on those threads is worth something, but I am hesitant to give away too much information for free. As for the “fun” threads on the answers section of LinkedIn, to me that seems to defeat the purpose of the entire section. Asking about birthday cards is fun, but is that really going to demonstrate your advertising expertise? I am not sure how. This is a new feature LinkedIn started offering, but it really makes me not want to visit the site. The general idea is that people can “endorse” you for skills and/or talents. The problems are many. First, no commentary is needed, so a person who has never worked with you and may not even know you really well can endorse you simply hoping that you will reciprocate. That is not valuable for either of you. Speaking of reciprocating, once you start returning endorsements, LinkedIn keeps suggesting more and more people you can endorse. Soon endorsing, which sounds like a great gift, can occupy the same mental capacity as flipping through channels on the television. These endorsements become completely meaningless and really seem more like a gaming technique than anything else. Is it just me? Am I missing the finer points of the world of LinkedIn? I’m happy to learn!